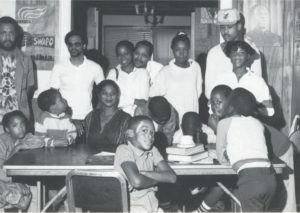 Over 44 years ago, BLACK SEEDS was founded by individuals who believed that the job of the civil rights and Black liberation movements was not done. Laws have been passed that have provided some changes in the plight of Black people, however institutional racism, exploitation and racial injustice still prevail. BLACK SEEDS is a non-profit, tax-exempt, volunteer, educational and service organization. BLACK SEEDS’ goal is to Educate, Organize and Unify African People through study, analysis, mass political education and the promotion of unity and cooperation among individuals and organizations. BLACK SEEDS wants the complete economic, political, and social freedom of African people from all forms of economic, institutional, and racist exploitation and oppression. We recognize that many of us are concerned about just plain “surviving” and are not always able to give much thought or time to changing the system that causes us problems. 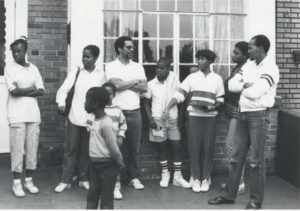 Therefore, since our inception in 1974, BLACK SEEDS has developed programs that combined our political and progressive activism with addressing specific community needs, including educational pamphlets and fliers, community forums and festivals, street cleanups, Kwanzaa celebrations, voter registrations, teen programs such as Black Seeds, Jr., door-to-door campaigns, study groups, protests, free clothing program, GED program and other measures that will help to improve the condition of all Black people in this country and the world, and “We Who Believe in Freedom” – our Black Historical and Educational Calendar – now in its 42nd year. information to family and friends. We need you to continue to challenge complacency. We Must Stand Together. Do Your Part To Build Black Unity.